Hang it on my door, very cute, a I would buy it again. 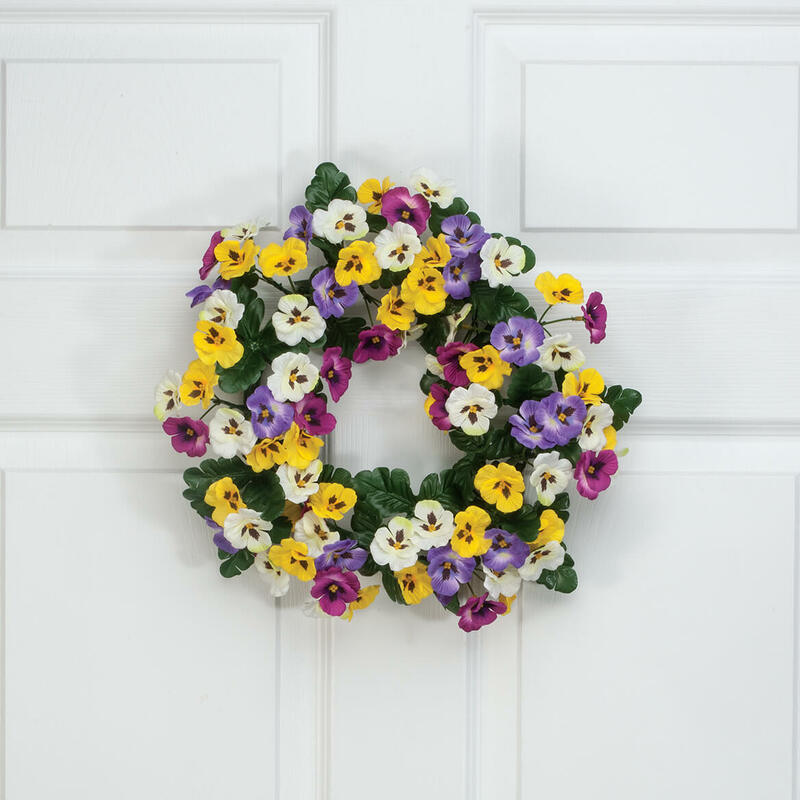 This wreath is small enough to fit in between the storm door and inside door. Lightweight, since it's a plastic frame. Not too large in diameter so does not overpower the door. Adds a nice touch to the entrance. I like lightweight and durable door decorations, and this is. Pretty, too! 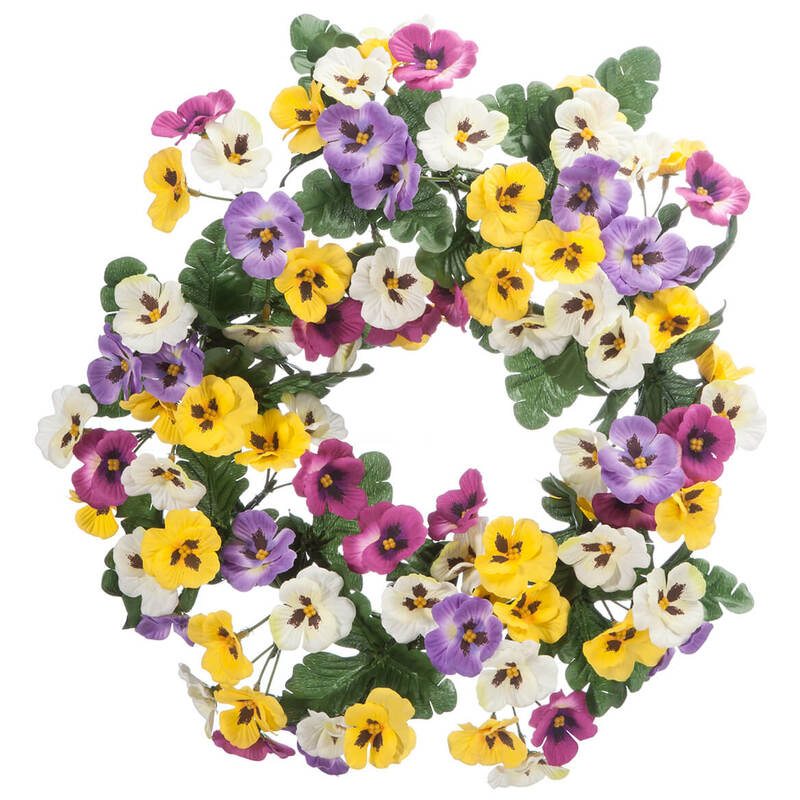 Pansies are perfect for the spring and Easter. It is on the small side, but it is true to the description (14"). Is it plastic? Well, yes - but that means I can keep it from year to year and use many times. Here it is on my front door. It looks pretty from the street, too. This does not look like the picture. 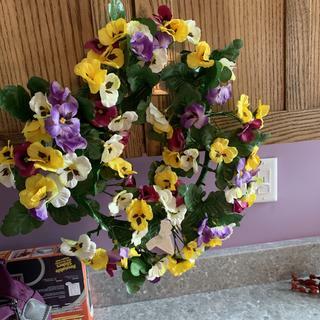 Very cheap looking, I can see the plastic frame and it looks like it’s missing flowers. Not even worth $14.99. Wish I could show a picture. Will return. The item as well as the cost was what I was looking for. The free shipping was a big asset also. Thank you. easy to shop, not had any problems with any product I've bought. 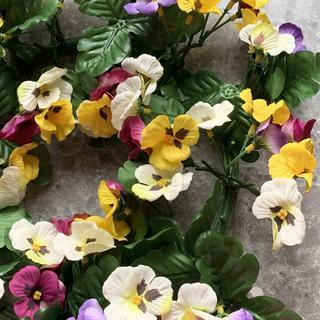 I've always loved pansies ! It will fit perfectly on our front door. It will also add a great deal of color to a bland backround. 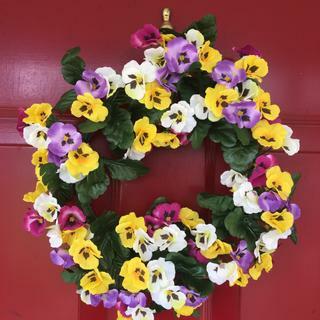 I chose this product because I thought it would look beautiful on our front door! So beautiful, I love pansies.